Roger Lloyd has owned New Carman Roller Skating Rink since the 1970s. The business is currently up for sale. That’s what greets passersby outside the New Carman Roller Skating Rink, where the business logo – a roller skate with angel wings – currently points in the direction of a “SALE” sign. Those images speak to a storied past and an uncertain future. Infrequently Asked Questions: Why do avenues like [Germantown] run diagonally? “I’ll probably croak,” he said, when asked how he thinks he’ll react should he sell the home of a vintage, 12,000-square-foot, tongue-in-groove wooden rink that, on Tuesday morning, smelled of disinfectant and perpetual love. “I was hysterical when I went out and saw the sale sign. It was like PTSD. Let’s start at the beginning before pondering what could be coming to an end. Originally a movie theater, Carman Roller Skating Rink first opened its doors during the Great Depression. The year was 1932. In subsequent decades, Lloyd found it to be a place of joy in his younger days. He honed his skating skills – to amazing levels, no less – and became an employee. Then, after surviving his time in Vietnam, Lloyd took a leap of literal and religious faith in the mid-1970s. After serving as the business manager for the rink operation, he entered into a lease/purchase agreement, signing away most everything he had to his name as collateral despite the fact that it was located in the heart of a then-drug-infested neighborhood. 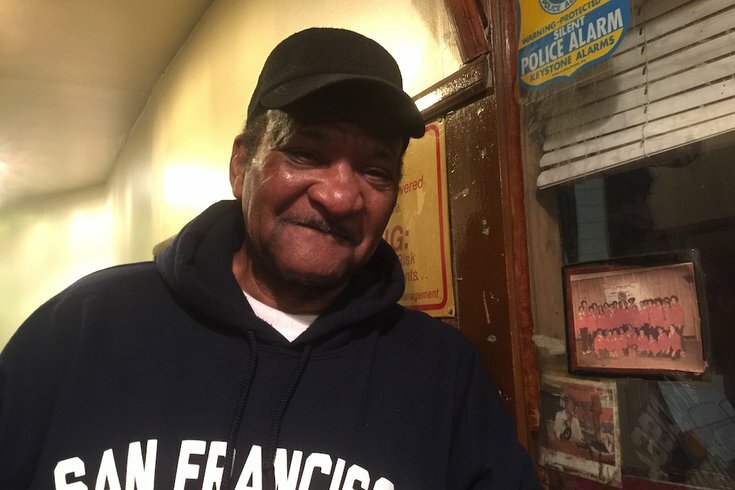 “When they shot up my front door, they crossed a line,” recalled Lloyd, a deacon at Triumph Baptist Church, of the area’s rock bottom. Suffice it to say, things took a turn for the better. Walk into Carman Gardens today and the front doors double as a tangible wayback-machine's entry portal. Lloyd will show you a photo of the first-ever customer paying at the front window in 1932 and a portrait of Carman’s inaugural skating club from 42 years later, along with their successors throughout the '70s. Tucked behind vintage pretzel and hot-dog machines hangs a snack-bar menu advertising hot sausages ($2.25), potato chips (50 cents), pizza ($2), pompoms ($4) and socks ($1.50). In an office that doubles as the skate-rental storage room, Lloyd – who has skated as far away as Bangkok, Thailand – has a tattered, seven-year-old manila envelope containing all the newspaper and magazine stories written about Carman Gardens dating back to the early 1980s. Two people are here with him on this day, getting ready for a Saturday that will see the rink open from early in the afternoon until the wee hours. It’s going to be a big day for a place that relies on Saturday night public-skating sessions and private parties at other times throughout the week. To offer a visitor a sense of what Carman Gardens looks and sounds like when in full operation, one of the workers heads over to the DJ booth and flips a couple of switches. The disco ball starts spinning, colorful lights circling the rink start flashing, and The Whispers’ “All The Way (Let’s Go)” blasts through the speakers. Lloyd wistfully mentions that the bathrooms used to be located up a flight of steps on the second floor. When he transitioned to the latter half of the lease/purchase agreement two years later, he lucked into a meeting with a bank vice president who, on the verge of retirement, said, “There’s just something about you that I like.” Then, he agreed to extend a $50,000 loan (“That was like a million dollars back then”) with 16 percent interest (“Crazy!”). The subsequent years were good for the place since roller skating – which moves in cyclical trends of popularity – experienced its heyday. 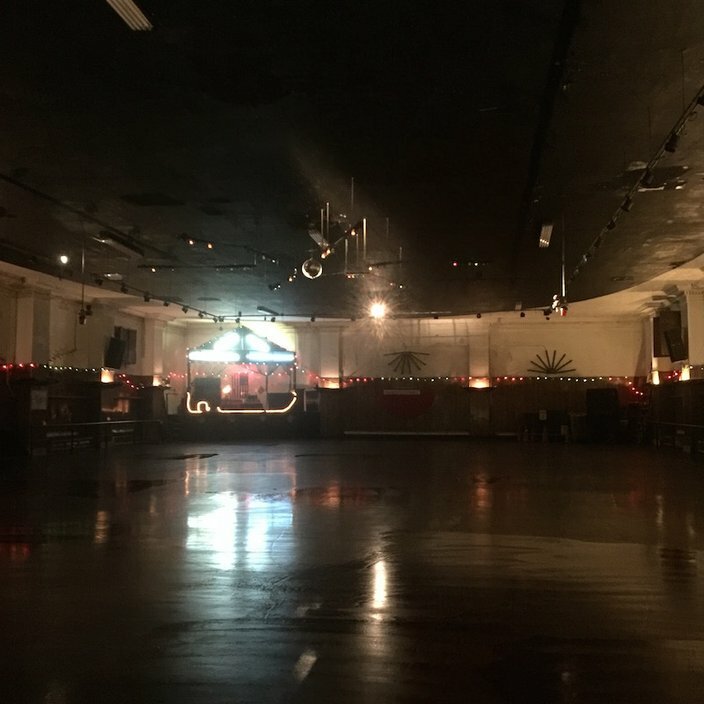 When “gospel roller skating” arrived on the scene in 1983, the place pushed its maximum capacity of 1,080 visitors, he said. When Carman hosts its next big non-Halloween party in mid-November, more than 500 guests are expected. The ebbs and flows have offered enough business to keep the doors open through the years. With that mission, along with writer Rachel Hildebrandt’s research into the place, it makes sense that Carman was the site of Hidden City’s anniversary party two years running. Also finding Carman Gardens cool was “the city and our fabulous mayor,” who, “without setting foot inside the place,” assessed the property at roughly $900,000 in late 2013, Lloyd said. Suffice it to say, that reassessment is directly related to that SALE sign – asking price: $500,000 – outside. While Lloyd got that rolled back by several hundred thousand dollars, the fight – coupled with the owner now being on Earth for seven decades – left him searching for an exit plan. What the reduced assessment did was buy him time. Had his property value stayed so high, he’d have worked to sell it off last year. Now, he finds himself in a position where he can wait for the right buyer, a person who would resemble him when he took the reins. “The Lord didn’t bring me this far just so he could leave me. When all’s said and done, this is going to work out,” he said. Since that sign went up, he’s gotten numerous inquiries from potential buyers. The person who talked to Lloyd about transforming it into a boxing venue is still in play. And, the professional basketball player with local ties who sent an envoy to the site to take a look-see could still become New Carman's third-ever owner (though a spokesman for his team told PhillyVoice that he’s extended no formal offer, so he shall remain nameless ... for now). But spend any amount of time with the "roller," and it becomes clearly evident that he's not looking forward to the day he and Carman part ways. He speaks passionately about its history and quirks. It seems as if it's a living, breathing companion. So, what would he like to see happen at the corner of Germantown and Hilton?